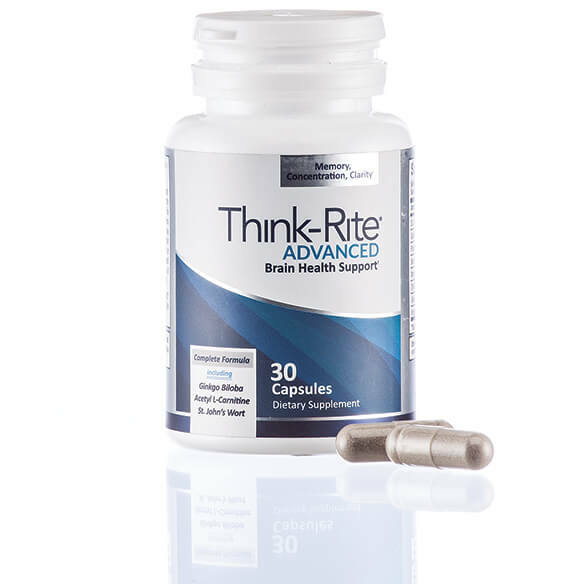 Enhance your memory, improve concentration and increase circulation in the brain with Think-Rite. This ultimate brain-supporting vitamin provides functional brain nutrients that act to improve and maintain cognitive performance. 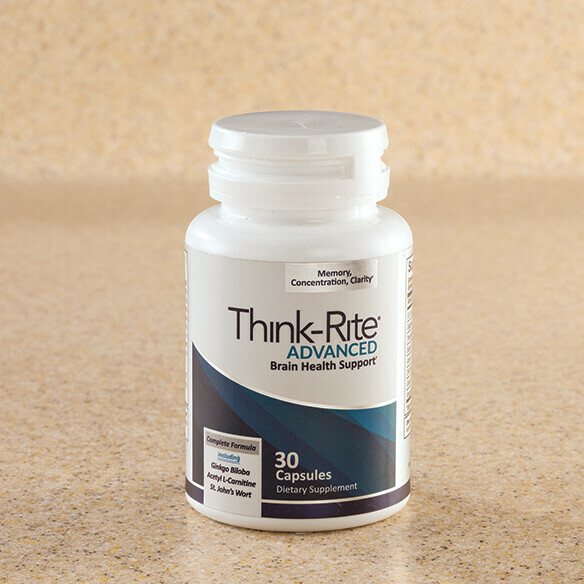 Think-Rite helps reduce the impact of stress of aging of the brain. With a combination of highly effective and well-studied nutrients, the formula helps provide optimal mind support, steadies mental sharpness, helps focus, increases clarity, boosts concentration and supports alertness. This synergistic blend of 8 ingredients supports neural abilities, providing the nutrients healthy brains need to function at peak performance. It works without any side effects and has no interactions with prescription drugs or medicines. As a dietary supplement, take 1 capsule daily. Do not exceed 2 capsules per day.